Transform your current living room into the room of your dreams with living room remodeling by Dream Construction in Las Vegas, NV. We have over 20 years experience of experience in this industry. We are dedicated to quality service and skilled craftsmanship. Our construction team looks forward to turning your dreams into reality. We will work with you to help create a room where memories will be made for years to come. Add both enjoyment and value to your home with a living room renovation. 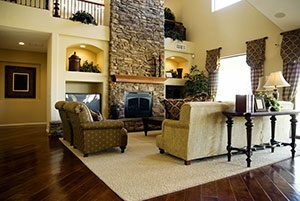 Our team at Dream Construction will help you achieve the look and feel you want from your living room. For little inspiration to get the ideas flowing. You can start by looking at some pictures of living rooms online. We have a large portfolio of home improvement and new construction projects you can browse through on our website. You can also get ideas by visiting your local home improvement store or walking through model homes. Note things that you like and don’t like in the living rooms you see. Start creating your own portfolio of pictures for your dream room. Our construction team can also help you explore some possibilities. Once you’ve got an idea of what kind of living room you’d like to create, our construction team will get to work on turning that dream into reality. We are committed to providing quality work, top-notch service, and making sure that you love the finished product. Finally, get the living room that you’ve been hoping for. When you schedule living room remodeling with Dream Construction in Las Vegas, NV, we will help create a room you love. Call us today for your free consultation.